The writer is the chairman of Brookings India and senior fellow, Brookings Institution. Energy will not be central to the unfolding electoral campaign. It is not a priority subject for the electorate. But once the new government is sworn in, it should be brought front and square onto the policy agenda: Because its current trajectory is fundamentally antithetical to the objective of sustainable development. And, because time is of the essence. Today, every projection of India’s energy future draws the same broad conclusion. 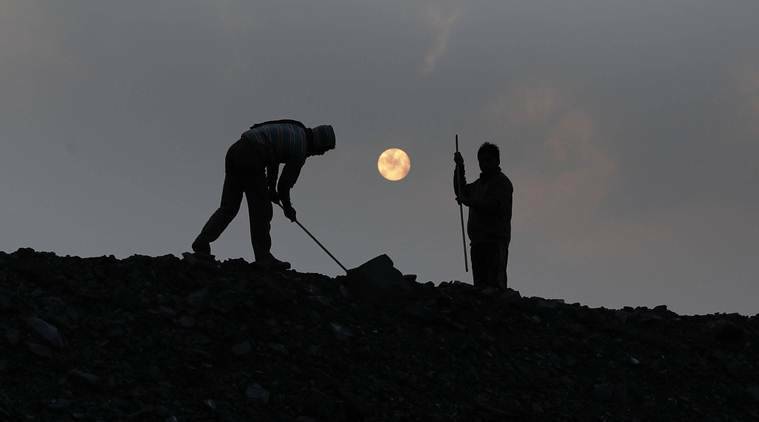 Whether it be multilateral institutions like the International Energy Agency (IEA), multinationals like Exxon-Mobil, BP or Shell, the erstwhile Planning Commission, or now the NITI Aayog, the forecast is that energy demand will move on an upward curve; indigenous supplies will fail to keep pace with this increase in demand; energy imports will rise in absolute and relative terms, and, the environment will face increasing stress. More specifically, coal will dominate, oil and gas will have significance; renewables, whilst on a rising trend, will account for a relatively inconsequential share and air pollution, depleting water tables and extreme weather conditions will presage ecological collapse. The costs of transitioning to renewables are huge. And there are technological issues to overcome before clean energy can be brought to scale. The future projected by these reports may be based on sound logic. It may tick every economic box and it may be the only politically feasible option. But it is clearly not a future that we wish for our children and grandchildren. This logic must be challenged. Energy economics needs to be redefined. Take, for example, BP’s most recent energy outlook published just a few weeks back. It avers that in 2040, fossil fuels (coal, oil and gas) will account for between 70-75 per cent of India’s primary energy consumption — down from approximately 90 per cent today. Of that, coal will account for 45 per cent (down from the current 55 per cent); oil 20 per cent (down from 30 per cent today) and natural gas at the same levels as today of around seven per cent. Renewables market share will increase to 15 per cent up from the current 3-4 per cent. Consequently, India will import 95 per cent of its oil requirements; 60 per cent of its gas requirements and 30 per cent of its coal requirements (despite the fact that it contains the fifth largest deposits of coal in the world). India will meet its Paris commitments to reduce GHG emissions by 35 per cent in 2035 relative to 2005. But, given this level of fossil fuel consumption, it will be one of the largest absolute emitters of pollutants in the world. The reasoning underpinning all these reports is well known: Coal is abundantly available — it is the cheapest of fuels and there are no competitive substitutes for liquids as a fuel for mobility. The costs of transitioning to renewables — whether calculated in terms of the sunk costs of stranded thermal power assets or the creation of transmission and distribution infrastructure to overcome the problem of “intermittency” (the sun does not shine all the time; nor does the wind blow with regularity) are huge. And there are technological (that is, storage or carbon sequestration) and regulatory (conservation norms, emissions standards) issues to overcome before clean energy can be brought to scale. The future projected by these reports may be based on sound logic. It may tick every economic box and it may be the only politically feasible option. But it is clearly not a future that we wish for our children and grandchildren. This logic must be challenged. Energy economics needs to be redefined. Two decades back, the US was the largest importer of liquid fuels in the world. Global geopolitics pivoted around this reality. Policies were contrived to reduce this dependence but no one imagined that the US would ever secure self-sufficiency. Today, the US is the largest producer of liquids in the world. More extraordinary, it is now placing approximately 2,00,000 barrels a day of oil into the global market. This energy revolution happened because an independent entrepreneur in Texas refused to accept the straitjacket of convention. Rather than apply the technologies of hydraulic fracturing (of the rock faces) and horizontal drilling separately, as was the then norm, he asked the counterfactual: What if these technologies were applied conjointly? He “fractured” the rock faces by a blast of high pressure liquids and used the design of the horizontal wells to bring the released molecules of oil and gas to the surface cost-effectively. His success triggered the “shale revolution” and fundamentally altered the commercial, strategic and geopolitical landscape of the global petroleum industry. We have to contemplate just such a “revolutionary” change. We have to ask the counterfactual and contemplate the counterintuitive — “What institutional, economic, technological, financial and collaborative steps must be taken to flip the ratio between fossils and renewables in the energy basket of emergent India?” There will be no clear answer but such questions will at least enhance the chances of finding a path off the currently trodden track of fossil fuels. A few early steps must be taken by the new government to start this process. First, it must replace the lens that is currently used to look at the energy sector. This lens provides a disaggregated picture and encourages a siloed approach to energy governance. It does not facilitate a holistic overview of the linkages between the different components of energy (oil, gas, coal, renewables, nuclear, hydro, bio, non-commercial); nor between fuel usage, electricity, mobility, industry, and agriculture, on the one hand, and, ecology on the other. A general equilibrium macro model is required that captures such linkages and enables decision-makers to consider the systemic implications of changes in one or more of these variables. Second, and this is a corollary of the first, we have to create the appropriate institutional structures of decision-making. The current structure of multiple “energy” ministries (petroleum, coal, renewables, power, atomic) should be collapsed into one omnibus Ministry of Energy and Environment. This will enable integrated decision making; it will also provide a platform for collaborative public-private and constructively “disruptive” innovation. Besides, it will also bring sustainability to the fore of policy. Finally, the government should use its newly derived mandate to legislate an “Energy and Environment Security” Act. The purpose should be to engage the public in the larger debate on how to weaken if not break the current unhealthy nexus between economic growth, energy demand and environmental degradation. It should be to elevate the objective of wreaking an energy “discontinuity” into a national priority. This article first appeared in the print edition on April 1, 2019, under the title ‘The next revolution’. The writer is chairman & senior fellow, Brookings India. 3 Congress may be talking to economists and experts. But is it listening to the voter?